TMCARDS offer a pack of cards especially for children in their formative years. Familiarity with playing cards and card games can provide children with entertainment, social interaction, and educational benefits. Teaching aids through our cards serve to make the learning experience enjoyable as well as interactive on a personal level. 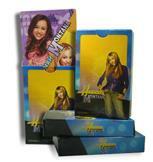 We help you to create your set of Children playing card cards as per your requirements. Children's playing cards are made from non toxic inks and coatings that are perfectly safe since children do have a tendency to mouth toys and objects. Various card games can be played with two people, a group of people, or even by yourself. Families can enjoy a game together, kids can play in groups on their own, and a solitary child can while away the hours playing solitaire games or building card houses. Most of the playing card games have been designed for grown-ups. 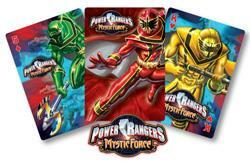 But now there are a number of card games that kids can enjoy with the deck of TMCARDS Children playing cards. All you have to do is assemble with your friends and turn a boring evening into a fun and interactive one. These Cards can be personalized one side with our standard game faces or other designs or can be fully customized both sides to suit individuals requirements. The design of our Children Playing cards involves a balance between utilitarian constraints and artistic possibilities. The packaging and design options are almost unlimited; we have flexible options for size, quantity and packaging. Go Fish: A game of chance and skill for two or more players. Sequence: This game is easy to learn, making a good starter game, but nevertheless requires concentration and patience. War: This is an easy introduction to card playing without too many rules to complicate the game. TMCARDS playing cards Manufacturer Company recommend its 54 deck Children Playing card games offering 54 instant and creative impressions for your message. Each card can deliver a different communication point, visual or factual. You can take as many cards as you need for a game. We can make games with 10 cards to almost a 1000 cards per game.